This post is brought to you in partnership with Advancement Courses. Spring break and summer are quickly approaching, and that means you might be running out of ideas to keep your students engaged. Below, I’ve created several free board game book report templates that you can turn into math activities, plus a bonus free printable book report overview template! I found my inspiration for the math activity game boards from a professional development course I was introduced to recently, Teaching Math with Children’s Literature from Advancement Courses. Advancement Courses has over 200 graduate-level professional development courses in 19 different subject areas (K-12), and many of them are pre-approved depending on your state and district. How handy! Courses cover both traditional academic topics as well as emerging trends and even teacher wellness. They even offer group discounts! Plus, you can save 20% off any course right now when you use the code SALARY20 at checkout. Their website is super easy to navigate and find the perfect course for you. You can narrow down your search by location, subject, grade level and Common Core. You can even filter by popular courses to see what other teachers are taking! I absolutely love cross-over topics in education where one lesson can cover two areas of learning, and Advancement Courses has many courses that fit the bill, including the Teaching Math with Children’s Literature course that was my inspiration for these activities. Two other courses that caught my eye were Reaching and Teaching Gifted Students in the Regular Classroom and Motivating Unmotivated Students (Research and Practice). All of the courses through Advancement Courses are online and self-paced so you can take up to 6 months to effectively complete your coursework. I love this because I enjoy taking the time to process and research ideas as I am working through a course. You can see all the professional development course options here. 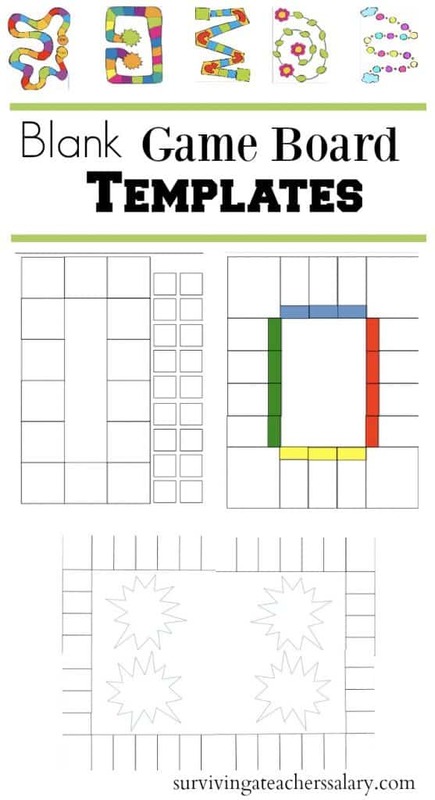 Blank templates are a great starting point and give students an advantage while allowing them to be creative in their own designs. I have seven single-page board game templates plus one giant board (four pages put together) that you can print as needed. Some are colorful, some are black and white, but all are blank and ready for your creative design! I recommend printing your game board(s) on card stock and laminating them to make sure they last as long as possible. Read a book as a class, have each student or group of students create a game board that pairs with locations and characters in the book, then let the games begin! How Do I Use the Free Blank Game Board Templates? There are many ways to create math games from children&#39;s books. 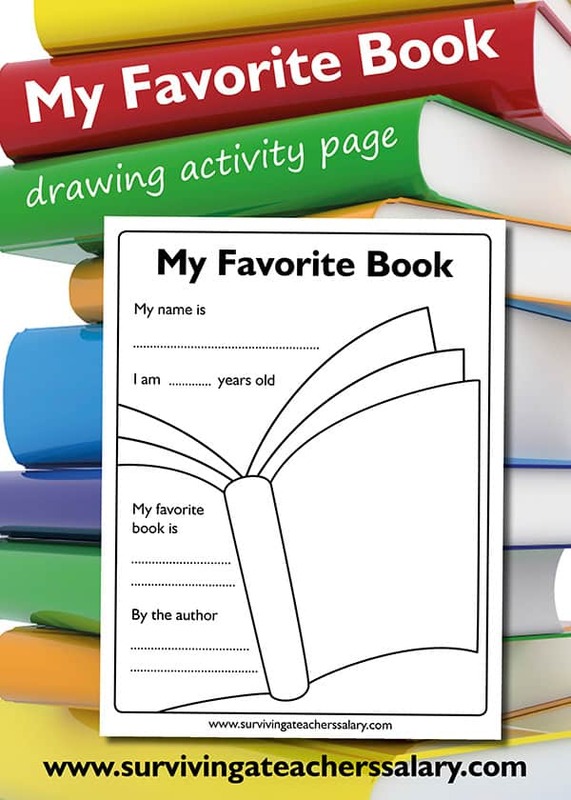 Students can choose to utilize one portion of the book and turn it into a game. For example, if the main character goes to the grocery store for his mother, students can choose to create a grocery-themed game. Or they can turn the entire plot into a creative game. If the book follows an adventurous journey, the creative game can feature locations on the journey with the goal of reaching the final destination from the book. Advancement Courses offers over 200 online courses available for graduate credit through CAEP and regionally accredited university partners or for continuing education units (CEUs) that meet state requirements. Choose whether you need Graduate Credit or Continuing Education credit. Once your course is completed, you’ll receive a transcript or certificate of completion. Find out how you can save 20% off any course using the code SALARY20 at checkout! Check out all of the available Continuing Education Courses for Teachers here! If you need a shorter “book report” worksheet-style template, then this “My Favorite Book” worksheet is just what you need! It’s perfect for any age from kindergarten through 5th grade. Students fill in each of the blanks on one side, and then draw and color a scene from the book on the blank side of the “book”! These make great classroom assignments to line on your door, art wall or school hallway!